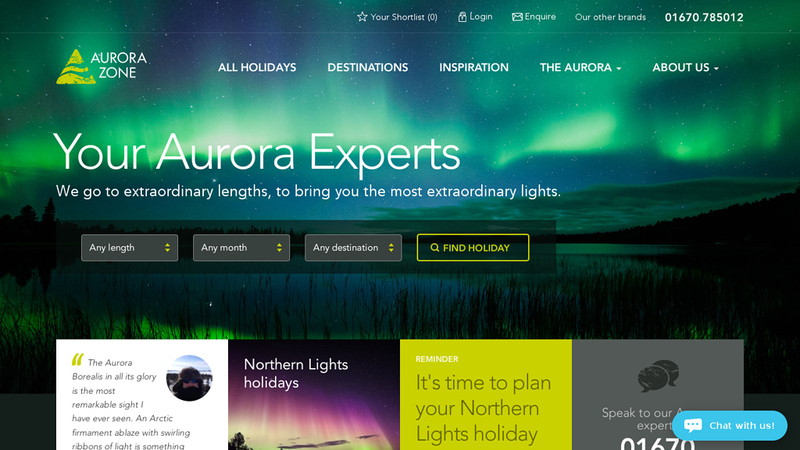 (TRAVPR.COM) UNITED KINGDOM - November 28th, 2017 - The original Northern Lights holiday company, The Aurora Zone, has added two new hotels, in the North East of Finnish Lapland, and 12 new Northern Lights itineraries. Opening in December 2017, Hotel Nangu, is a brand new stylish adults-only boutique hotel situated on the quiet southern shores of Lake Inari. Made up of a series of luxury log buildings, it boasts a communal traditional Finnish sauna and panoramic views over the lake. The hotel’s restaurant serves traditional Finnish cuisine including delicious fresh seafood. There are 24 bedrooms in total, ensuring exclusivity; superior rooms have lake views and one room has a private sauna. Also opening its doors in December is the sister hotel of Hotel Nangu - Wilderness Hotel Inari. The hotel is located close to the heart of Sámi culture in Finland and combines comfort and tradition with a restaurant which has panoramic views out onto the frozen water of Lake Inari, a cosy bar with a roaring log fire, plus 40 ‘wilderness’ bedrooms, eight log cabins and 12 Aurora cabins. The eight log cabins contain a wood-burning stove, private sauna, cosy living area, en-suite bedroom and a loft area to accommodate additional guests if needed. One of the highlights is the 12 beautifully-appointed Aurora cabins which have thermal glass roofs to fully maximise views of the beguiling northern skies. Both hotels belong to The Aurora Zone’s long-standing partners Jouko and Mari Lappalainen. With many years’ experience running some of the company’s most popular Northern Lights accommodation in Nellim and Muotka, guests will be in expert hands as they hunt for the Aurora. The hotels are based in a remote region with virtually no light pollution. Hence there are fewer places on Earth which have a better view of the Northern skies and which, in turn, provide the chance to experience vibrant Aurora displays. NEW: Nangu – Lake Inari Christmas Auroras is a four-night festive itinerary priced from £1,595 pp (two sharing) including flights, transfers, four nights’ full board at Hotel Nangu, activities (dog sledding, snowmobile-pulled sleigh to a reindeer farm and two Aurora camps), Aurora alert until 1am, expert guides and cold weather clothing. Departs 22 December 2017. 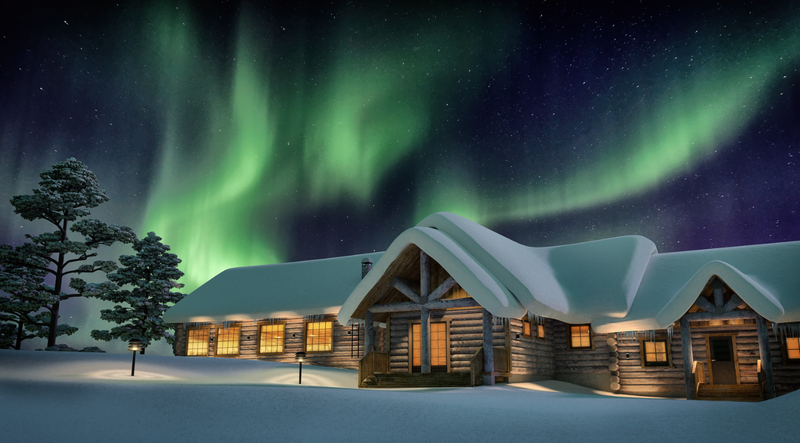 NEW: Wilderness Hotel Inari – Christmas Auroras by the Lake is a four-night itinerary priced from £1,995 pp (two sharing) including flights, transfers, four nights’ full board at Wilderness Hotel Inari, activities (dog sledding, reindeer farm and ice fishing by snowmobile, Aurora camp and Aurora hunt by car/minibus), Aurora alert until 1am, expert guides and cold weather clothing. Departs 22 December 2017. NEW: Wilderness Hotel Inari – New Year Northern Lights by the Lake is a four-night itinerary priced from £1,595 pp (two sharing) including flights (London), transfers, four nights’ full board accommodation at the Wilderness Inari Hotel, activities (Lake Inari snowmobile safari with ice fishing, Aurora snowshoeing, husky safari, Aurora camp and reindeer farm visit). Aurora alert until 1am, expert guides and cold weather clothing. Departs 31 December 2017. NEW: Nangu – Lighting up the New Year is a four-night itinerary priced from £1,175 pp (two sharing) including flights (London), transfers, four nights’ full board at Hotel Nangu, activities (Aurora camp and Aurora snowshoeing), Aurora alert until 1am, expert guides and cold weather clothing. Departs 31 December 2017. 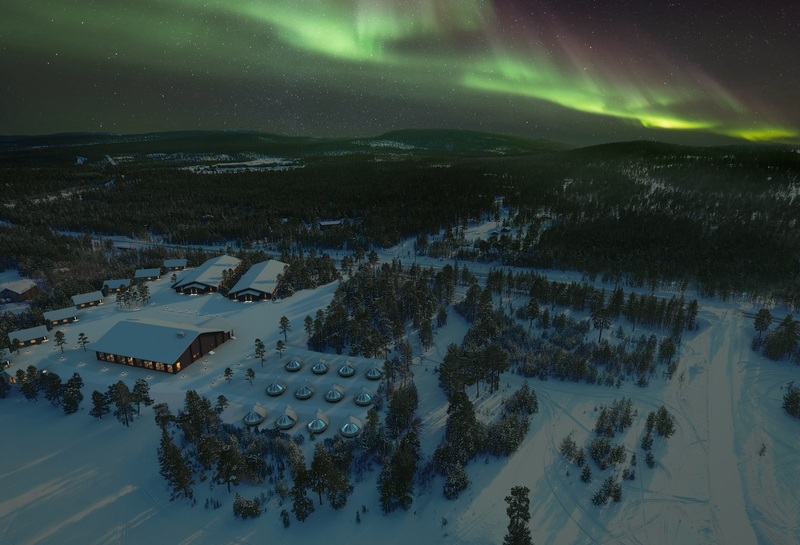 NEW: Wilderness Hotel Inari - Aurora Hunting Adventure is a seven-night itinerary priced from £1,895 pp (based on two sharing) and includes flights (London), transfers, full-board accommodation at Wilderness Hotel Inari, and cold weather clothing. Whilst in Inari, experience a range of exciting guided activities: snowshoeing, Aurora workshop, visit the Sámi Siida Museum, two Aurora camps, husky safari, Aurora snowmobile safari, cross-country skiing, Aurora hunt and a visit to a reindeer farm. Departs January - April 2018. NEW: Nangu Tailormade is a three-night itinerary priced from £1,295 pp (two sharing) including flights, transfers, three nights’ full board at the Hotel Nangu and cold weather clothing. Activities (extra) include snowmobiling, ice fishing, snowshoeing and huskies. Available from January – April 2018. NEW: Nangu Northern Lights Short Break is a three-night itinerary priced from £1,415 pp (two sharing) including flights, transfers, three nights’ full board at Hotel Nangu, activities (dog sledding, reindeer farm visit, snowshoeing, Aurora workshop, Aurora camp, Aurora hunt by car or minibus and Sami Siida Museum), Aurora alert until 1am, expert guides and cold weather clothing. Available from 18 January – 22 March 2018. To book, please call The Aurora Zone on 01670 785012 (www.theaurorazone.com). Press: Formore information, high-res images or to discuss a commissioned press trip, please contact Julia Farish or Kate Chapman at Travel PR on 020 8891 4440 or j.farish@travelpr.co.uk or k.chapman@travelpr.co.uk.